These hobbies utilize CO2 (Carbon Dioxide) to maintain healthy plant life. 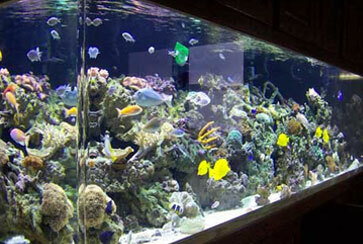 Broward Nelson provides Aquariums, Reef & Fish Tank owners with "One Stop Shopping" for their CO2 Tanks & CO2 Regulators. CO2 Gas Refills on Customer Owned Cylinders are available. Broward Nelson Sells and Leases a variety of CO2 Dispensing Equipment. We provide CO2 both High Pressure and Bulk to run any size aquarium. Our service is second-to-none and our drivers are friendly and knowledgeable. Home Pickup and Delivery is available for a small charge. We believe in "ONE STOP SHOPPING" where one phone call will handle all your Aquariums, Reef & Fish Tank CO2 Dispensing needs!